Pet hedgehogs are unique in both their appearance and their care as a small pet. Being insectivores, hedgehogs need nutrients that may not be found in many other pet foods. 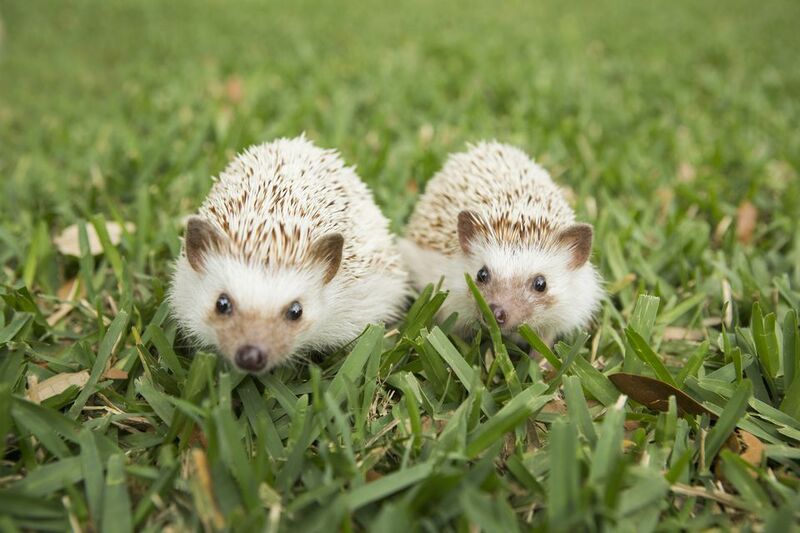 Historically, cat food was often used to feed these spiky pocket pets, but there are also quality hedgehog foods that provide ideal nutritional components for a hedgehog to eat. By knowing what a hedgehog should be eating you can make better food decisions for your pet. Hedgehogs are considered either omnivores or insectivores, depending on the source referenced. If you look at the actual diet of a hedgehog you'll see that the omnivore description is probably a more accurate one since hedgehogs in the wild will eat a variety of foods, not just insects. Different species of hedgehogs will have slightly varied diets depending on the part of the world they are from, but most pet hedgehogs are African Pygmy hedgehogs so being a hybrid, their diet isn't exactly the same as a wild hedgehog. Hedgehogs have the unique ability to digest chitin from insects. Chitin is found in the hard exoskeleton of insects and is primarily a protein source but also provides some fiber. Chitin is a necessary component to a hedgehog's diet but it isn't the only thing a hedgehog needs from its food, so various items should be fed in addition to insects. Mealworms - Live or freeze-dried mealworms are a good source of chitin for hedgehogs. Live worms also provide a good source of mental stimulation since they move around and make a hedgehog have to work a little harder to catch its food. Waxworms - Live waxworms are higher in fat but lower in chitin content than mealworms so these should be saved as treats for hedgehogs. Crickets - Also available live or freeze-dried, crickets provide chitin as well as mental stimulation for a hedgehog. As with other insects, gut-loading should be done prior to feeding crickets to your hedgehog to ensure they are loaded with nutrition. Fruits - Dried fruit should be avoided, but a small amount of fresh fruit can be offered to your hedgehog as treats. Apples, bananas, berries, and melons are popular choices among hedgehogs. Vegetables - Fresh tomatoes, fresh green beans, and cooked squash are some options that your hedgehog may enjoy. Starchy vegetables, such as corn, potatoes, and carrots should be avoided as well as dried vegetables. Cooked meat - High protein, low fat canned dog or cat food as well as cooked chicken can be offered in small amounts to a pet hedgehog. Cooked eggs - An occasional bit of scrambled or hard boiled egg is a nice treat that's packed with protein for a hedgehog. Pinky mice - If you aren't grossed out by your hedgehog eating a baby mouse, you can offer the occasional pre-killed pinky mouse as a treat. Hedgehog or cat kibble - This should be the bulk of your hedgehog's diet. A high quality cat or hedgehog kibble should contain at least 30 percent protein and less than 20 percent fat. Hedgehog food is the ideal diet if it meets these nutritional requirements, but few formulated diets are available that don't include things like raisins and seeds, which are not recommended to feed. Hedgehogs are prone to obesity, so it is of utmost importance to monitor how much you are feeding it. The hedgehog or cat kibble should make up the majority of the daily diet, and even though a hedgehog is very active at night and burns a lot of energy, you'll want to control how much kibble it gets. Each day, one to two tablespoons of kibble should be offered to an adult hedgehog in addition to a teaspoon of fruits and vegetables and some insects. Larger and very active hedgehogs may need more food, but your hedgehog's weight should be monitored with the use of a baby scale. If there is more than a 10 percent weight gain you should cut back on how much food is offered. A hedgehog may eat more at night when it is most active and running on its wheel, so don't worry if you don't see it eating much during the day. Any uneaten food should be disposed of the next day to avoid spoilage and fresh water should always be available. Is It Okay to Feed Your Hedgehog Cat Food? Where Do Hedgehogs Come From and How Do You Care For Them? How Do You Handle a Hedgehog Without Getting Pricked? Does it Hurt to Pet a Hedgehog? Should I Get a Friend for My Hedgehog? How Do You Take Care of Your Hedgehog's Teeth? What Kind of Food Should Your Pet Mouse Eat? What is the Best Bedding for a Hedgehog? ​What Do Guinea Pigs Eat?